I’ve been lucky enough to get work on an exciting new film production being made here in Queensland, Australia. 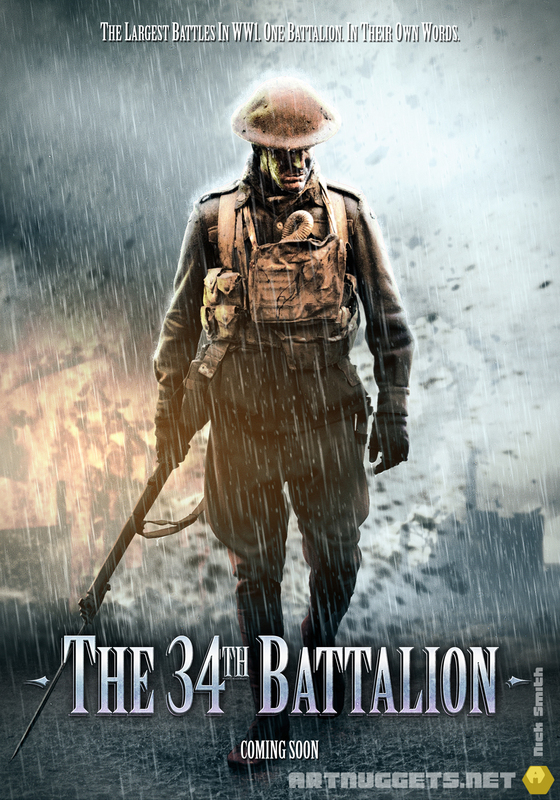 The 34th Battalion is about the exploits of a Australian soldiers on the western front in the Great War. Above you can see the initial teaser poster and two pieces of concept art I have worked on. More will follow and you can find out more about this fine production on their website. “Jonathan Brown and his close friends, whose lives are full of family and commitments, are faced with a call of duty. A recruitment march has found its way to their small town. Jonathan’s decision is full of heartbreak and regrets. He will carry those with him through the war. Here’s this week’s OzComics entry. 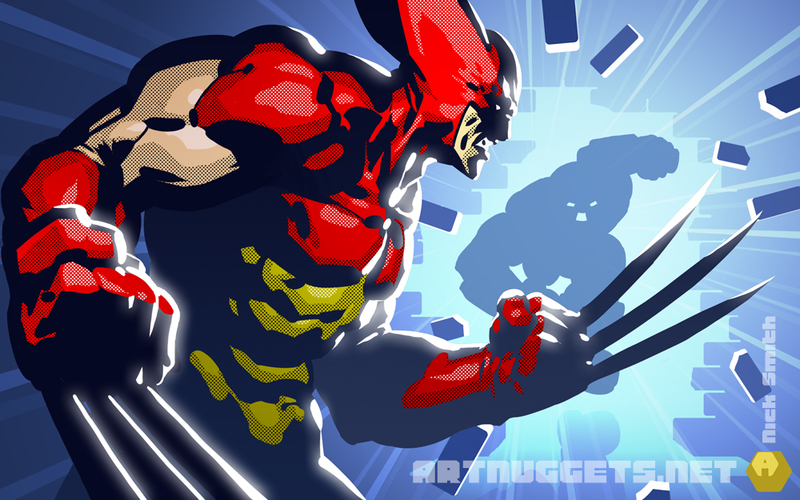 A bit of Wolverine taking on the Juggernaut. Similar screen tone approach as previous entries. Just trying to really nail down my technique for a bit of comic work I’ve got in mind. On this occasion I did the roughest of pencil sketches and took them into the tablet quick smart before drawing it up digitally, rather than doing a fairly finished pencil version, as is usually my method. 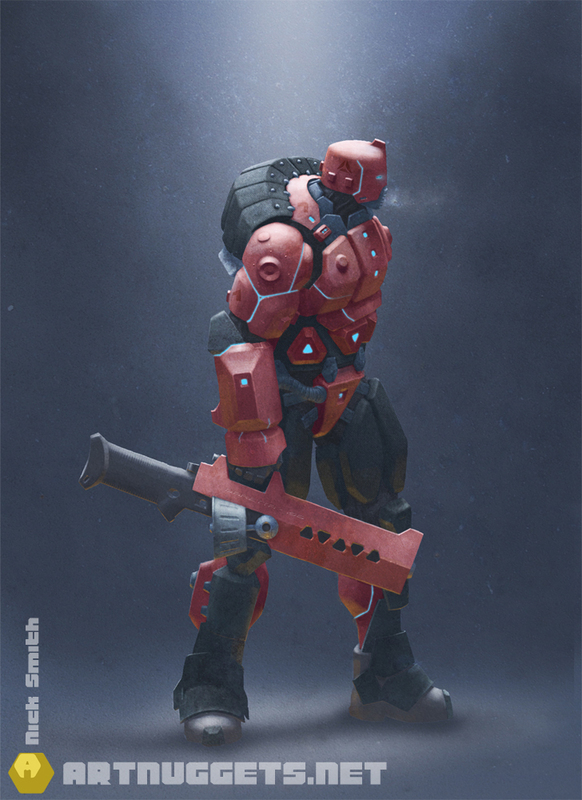 He never made it into the game, but this is one of my favourite designs from Stormrise. I was particularly inspired by Craig Mullins at this point and started off doing a quick thumbnail sketch before scanning it into the computer and painting him up in black and white. I then overlaid some colour and added detail and textures. 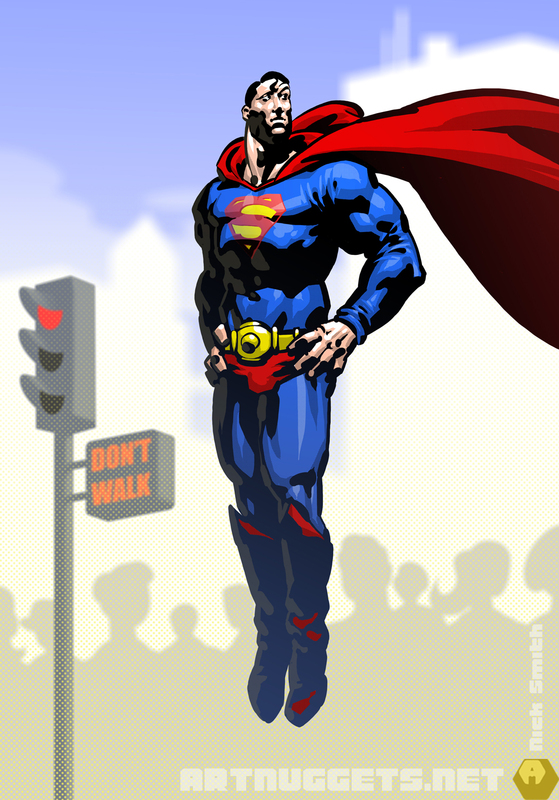 A quick Superman image for the OzComics.com challenge this week. He’s never been one of my favourite Super Heroes, but I felt like having a crack at him. As ever, it’s telling a snippet of a story, albeit a daft one. This one began life as a sketch in my pad before being transferred to my ASUS Slate tablet PC. Having purchased the kit over half a year ago, I had been neglecting it. I picked it up again when I went for a Drink’n’Draw session last week and I really felt we bonded, finally.